"Social media is now a super weapon"
It's always great to see an artist dive into their creativity. Showing how diverse they can be and how many sides of the spectrum they can touch musically. An emcee that can not only show great lyrical ability, but also make music displaying not only their artistry but them as person is truly incredible. Joey Aich does this to perfection with his track "Tempo". 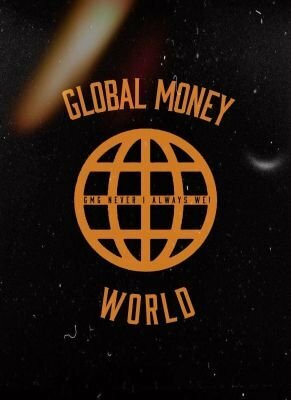 Joey Aich has been on the Global Money World previously with "Jenga II", "Sanity//Testimony" , and "Zoom". Joey is back with the bonus track "Tempo" from his project "Zoom", that's filled with incredible emceeing with his new song being the ultimate proof. He has an exciting style that's on full display for the world to see, as he raps with controlled high energy over this beat with mesmerizing synths, while he is lyrically sharp enough to cut through every 808 with incredible lines in each bar. Joey Aich's "Tempo is truly him at his finest, as he gives his fans everything they've grown to expect from this talented emcee. This new record is a true class on what master class emceeing is from the flow, lyrics, and delivery that is untouchable as he elevates his game to newer heights with every release. Check out Joey Aich "Tempo" below and follow him on Twitter. Stay Global my Friends!